Cult British Satanic biker fun from 1973. Upon discovering a dark family secret, Tom Latham (Nicky Henson), the leader of hell-raising teen motorcycle gang The Living Dead, decides to take drastic measures to ensure his gang’s superiority. Through his devil-worshipping mother (Beryl Reid), Tom makes a pact with Satan to ascertain the secret of immortality. Using this information he encourages his fellow riders to end their lives, safe in the knowledge that they’ll soon return from the dead to invulnerably terrorise the locals. 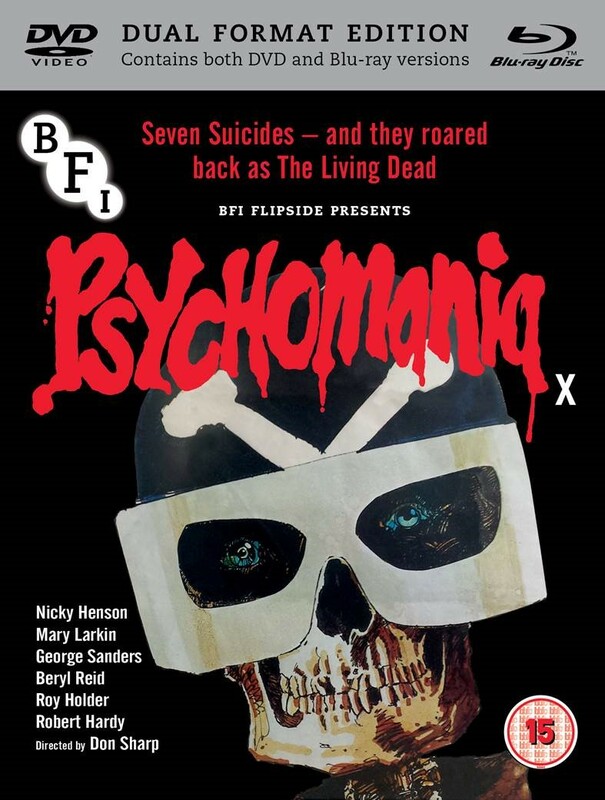 Packed with gothic tropes, black humour and eccentric performances (including George Sanders final screen role), Psychomania is a cult horror classic brimming with exciting action and fantastical mayhem.